Derpy, muffins, or ditzy doo? Which name out of all those is your favorite? Derpy, the fanmade one, muffins, the hasbro one, or ditzy doo? The other fanmade one. I just LOVE her character! She'll always be Derpy to me! 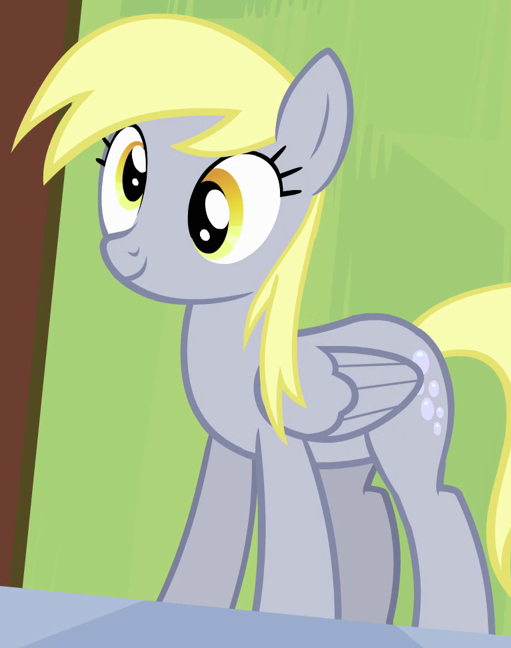 Derpy will always be my favorite considering that the name we heard Rainbow say when we first saw her. On a side note, has Tabitha always done her voice? Faust confirmed that "ditzy doo" never had a design, so applying that name to Derpy makes no sense. DERPY !! - Always - The pony should be known by no other name.